Clearly I love New Zealand. Three trips so far, and I’ve barely even scratched the surface. Our first trip was to the northern part of the North Island, so Auckland, Pahia, Waitomo and Rotorua. The next trip was a trip to the bottom of the South Island, Dunedin, Queenstown, Wanaka, Franz Josef. 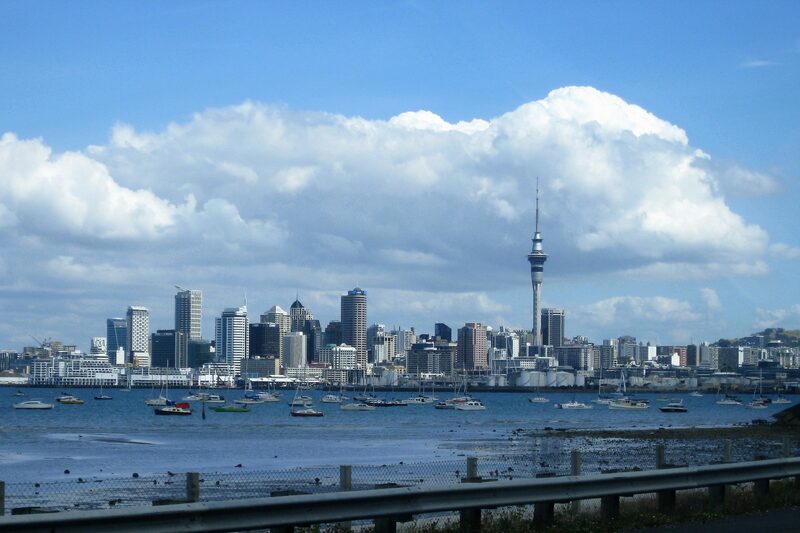 The third trip, five days in Auckland. The last two trips included Bookcrossing Conventions (see more about this here). We joke here in Australia that New Zealand is just an extension of us. We have a tendency to claim all famous New Zealanders that have so much as set foot on Australian soil as our own – Russell Crowe, Jenny Morris, the Finn Brothers, not to mention Phar Lap and Pavlova! While there are some differences between us, Aussies and Kiwis are very similar. 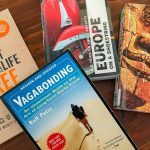 This makes travelling really easy, even if we do end up as the subject of some friendly bantering. On each of our trips we have met up with various locals that we know. This is one of the best things about travelling, going places with a local and seeing some of the things that normally we wouldn’t. These people have all been generous and hospitable, and oh so much fun! I could write pages on my favourite things to do in New Zealand because nearly everything we have done would make the list. Here I have picked out a few lesser known things that may not be included elsewhere. When visiting Pahia we did a day tour right up to Cape Reinga at the very top of New Zealand. 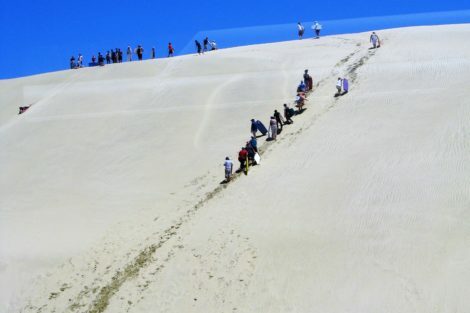 On the way back we stopped at some sand dunes and did some sand boarding. This was great fun, and the perfect way to blow off some steam in the middle of a long day tour! The climb up the hill in what felt like burning hot sand was all worth it in those few seconds sliding back down on the sand board, head first. Waitomo glow worm caves were another highlight of that first trip. We did the basic tour, which included a walk through some caves and then a boat trip down an underground river where the roof was covered in beautiful glow worms. It was like floating under the stars. There were some other really great tours including rafting and abseiling, but as our kids were 13 & 11 at the time, they were too young. Next time we are in the area I will be looking into those again. 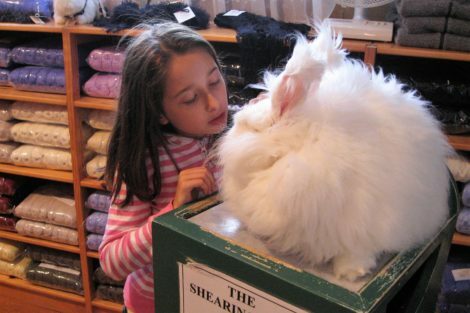 A funny added extra at Waitomo was the Shearing Shed just down the road from the caves where instead of the many sheep New Zealand is noted for, they shear Angora rabbits. If I remember correctly, it only cost a couple of dollars to watch a shearing demonstration, so a good time filler, especially if you have kids with you. 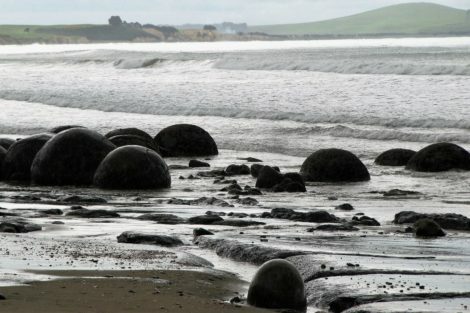 I will always remember our visit to the Moeraki Boulders on the South Island. We had just flown into Christchurch and were driving down to Dunedin and saw a sign on the road about these rocks. It was time for a break, so we pulled in. We only had one kid with us on this trip, and MacKenzie (14 then) was not AT ALL keen to go for a walk a few hundred metres up the beach from the car park to see some rocks! So we head off, and about one hundred metres along the beach it starts to rain. We next come to some flat, slippery rocks, and I quickly realised how inappropriate my footwear was for this walk. I slipped. The only thing I could think of was the camera in my right hand, so I held it aloft and spectacularly fell on my face! The only reason I didn’t do some severe damage was that my face hit one of Simon’s shoes, not the rocks. The bruising on my knees was impressive though, as were the scrapes on my left hand. Thank goodness the camera was okay, because I needed it to photograph the “stupid rocks”. There was no way I was going through all this for nothing! I’m not sure I need to talk about Queenstown. Everyone knows already it’s a must visit location. 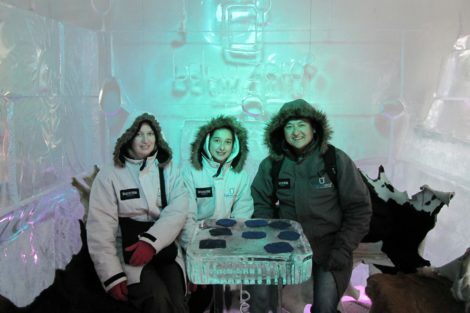 One of the memorable things we did there was to visit the Minus 5 Ice Bar. It is no secret to those who know me that I really do not like the cold. 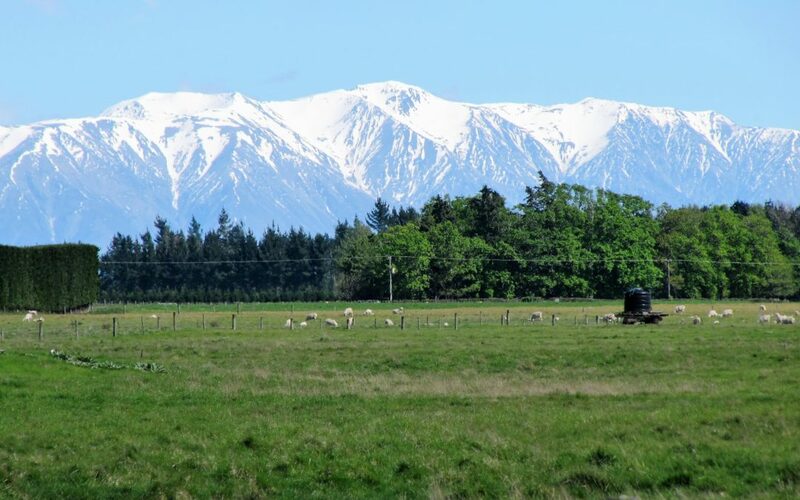 I’ve never seen snow up close (only on distant mountains in New Zealand on this trip actually) and I’m not quite sure how I will cope when I do. This then, was an interesting experience. Fun for the novelty, but no way could I work here! Wanaka is absolutely spectacular! 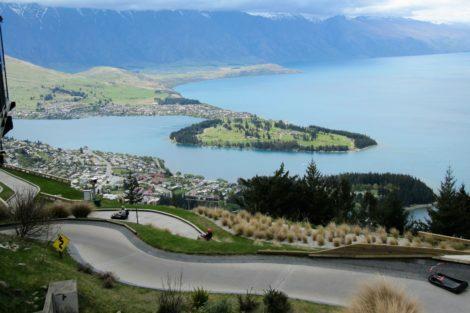 It’s at least as beautiful as Queenstown, and well worth a day or two. We spent one day here doing things MacKenzie wanted to do. We went indoor rock climbing, we went to a place that had an indoor firing range and finally ended up at Puzzling World. This place had some of the coolest optical illusions I have ever seen. 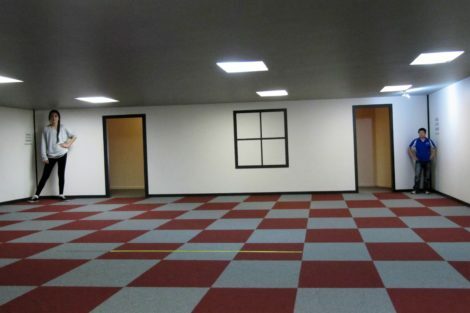 A whole room seems to defy gravity. There is also a huge outdoor maze to get lost in. The idea is to go to each corner first, then get out. We found two corners and gave up! I think we walked around in circles for most of it. So not a unique New Zealand attraction, but this was a fun way to spend an afternoon. Kids of all ages will enjoy it. 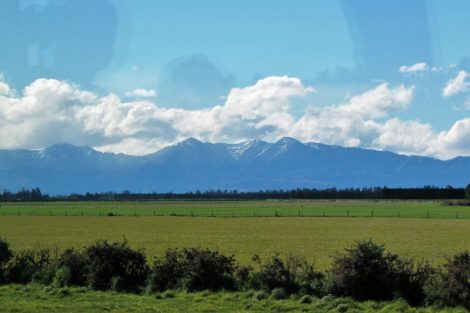 The Tranzalpine train that runs between Greymouth and Christchurch is – dare I say it yet again – spectacular! 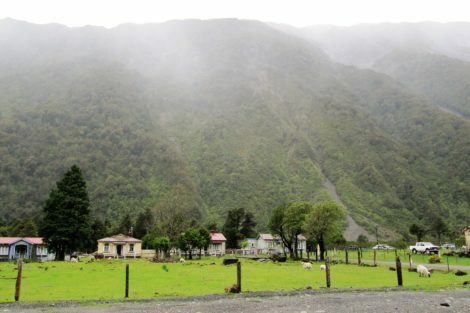 When we left Greymouth it was cold and raining. It was exhilarating though to stand out on the open carriage with the wind whipping around, taking in the scenery. The rain continued throughout the trip, right until we crossed over the highest part of the Southern Alps. Immediately the rain stopped, the sun came out and the scenery changed! 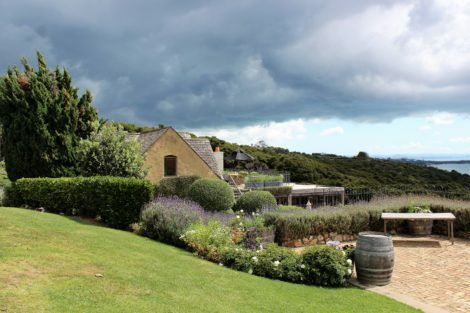 Waiheke Island is a forty minute ferry ride from Auckland and a great way to spend a day. It is the playground of the rich and famous in New Zealand, THE place to have a beach house for those who can afford it. It also has some good wineries and restaurants, which is how we spent our day. 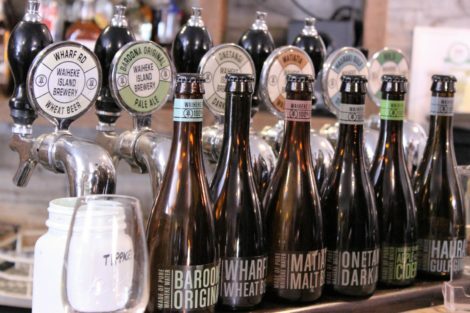 Lunch, wine tasting, beer tasting, even olive oil tasting were all included in the Taste of Waiheke tour we took. I could honestly include about ten more things here, there is just so much to see and do in New Zealand. New Zealand is of course one of our nearest neighbours, so it’s only a bit over four hours flying from Adelaide. 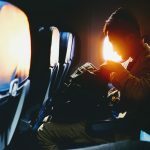 With most international flights at least double that, it is obviously an easy and cheap destination. As already stated, New Zealand is very similar to Australia. We drive on the same side of the road, which makes it so much easier when hiring a car is the best way to get around. We hired cars on two of our three trips. For the first trip I looked into the camper van option. 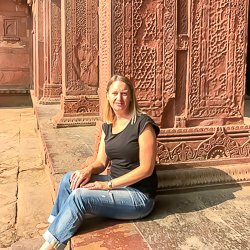 I discovered that the cost was not going to be very much different if we hired a car and stayed at cheap accommodation. It would also give us more flexibility as sometimes it is not possible to take a camper van into some places. Good thing too on that first trip, as we ended up on some very rural roads trying to find the largest Kauri tree. In the end we gave up, so that’s still on my list for a future trip. One thing that always surprises though are the one way bridges. The sign on the left below shows which traffic has right of way. 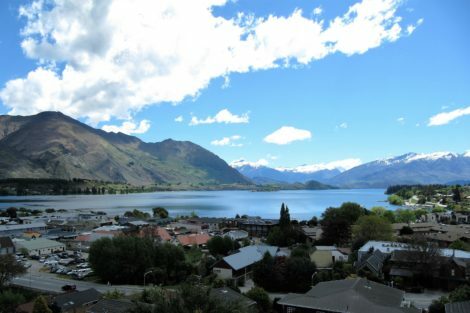 My favourite place we’ve stayed in New Zealand so far is Adventure Queenstown. This hostel has it all. 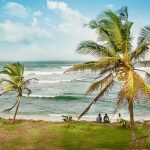 The location could not be more perfect, the rooms are spacious and clean, and they offer every possible extra you can think of, including free international phone calls to many countries. We stayed in a family room with an ensuite containing a better shower than we had anywhere else on that trip. 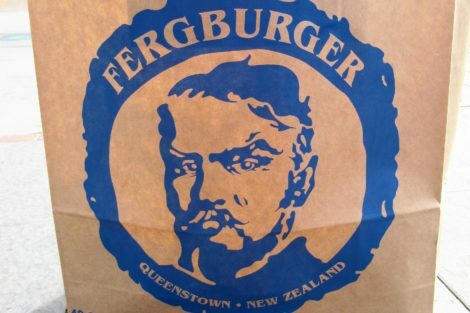 Of course we had to indulge in a legendary Fergburger while in Queenstown. We went in the middle of the afternoon so only had a short wait. And yes, it is worth the hype! I usually pick up a sim at the airport as I arrive to ensure I can be contacted and for data. Free wifi is available, but it is not as widespread as many other countries. 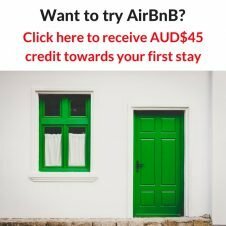 As with Australia, you are more likely to have free wifi with cheaper accommodation, anything more expensive, expect to pay extra for it. Oh, absolutely! 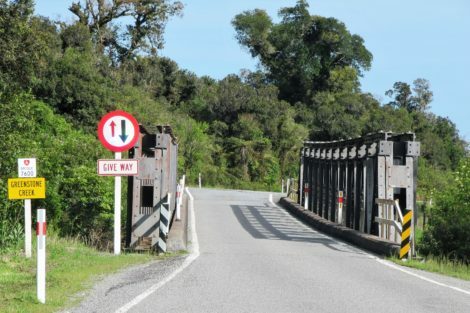 I have another Bookcrossing convention there this year, and even more exciting, it’s on Stewart Island. 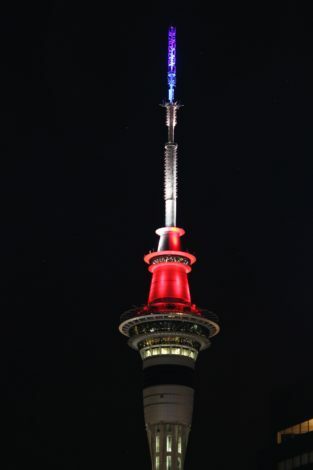 I will probably never again have a reason to go to New Zealand’s third (and coldest!) island, so would love to get there. It’s in October, and I have no idea where we will be at that time – probably somewhere in the Middle East. If it works out, I will fly half way around the world to meet new friends and old for the weekend. Are you planning a New Zealand holiday? 12go.asia now offers lots of different ways to get around. 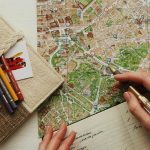 This site makes it easy to book everything on one reliable location before you travel. Click here to see the latest prices and options. 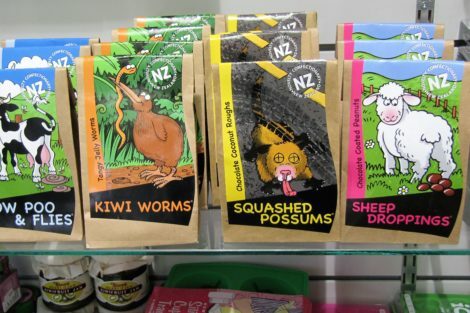 I love New Zealand. Queenstown remains the most beautiful place I’ve seen. The Waitomo Caverns were pure magic on my honeymoon, and still as enchanting when I went back twenty years later. Uncrowded, unhurried, unassuming. These islands are paradise with amazing food and drink. With any luck I’ll see you next on Stewart Island. I do hope I get there! Great summary on New Zealand! We love to go there one day but living in Belgium, it is quite a long trip to get there. You captured some nice things we would love to experience ourselves though! Australia and New Zealand are 2 places that i really want to go. I imagine beautiful things about it 🙂 Very interesting the perspective of a Australian. It seems like there are so similar things. Yes, there are lots of similarities, but we are also different. If you are in this part of the world, you need to visit both countries. You and I seem to like the same places and dislike the same things (cold). I think all of my favourite spots in New Zealand are mentioned here. 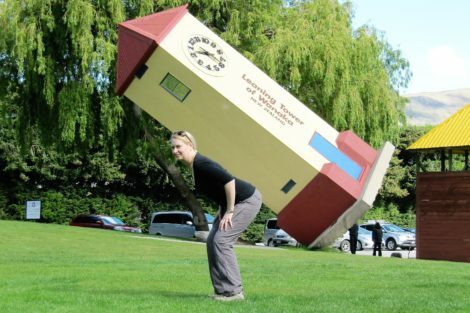 I love the photo of the Puzzling World tower, I have never seen the resting it on a back shot before. We are reaching up and holding it in all our images. I also like crossing the Tasman for a holiday amongst lovely people, although I go the other way. Thanks Rhonda. I still have so much of NZ to see, surely I will find some other gems there too! I think I am still digesting the Fergburger, it was HUGE and fabulous too! Definitely one of my favourite things to do too! Thanks Sarah. I’m normally a bit wary about food – often there is all this hype but then it turns out to be a bit “meh”, but the Fergburger did live up to it’s reputation.